The International Monetary Fund (IMN) mission in Albania estimates that the country's economy is strengthening, but expressed concern over the risk of government's "1 billion euro"in debt-raising which aims to absorb private investment through the Private Public Partnership formula. The IMF has also voiced criticism over the melting into a single structure the Taxation and Customs, while stressing the need for reforms initiated in the energy sector. Following the end of last year's three-year program with the IMF, thanks to which Albania received a loan of more than 370 million euros, the Albanian government did not want to renew a specific relationship with the Fund preferring the position of each country member in this important financial organization. 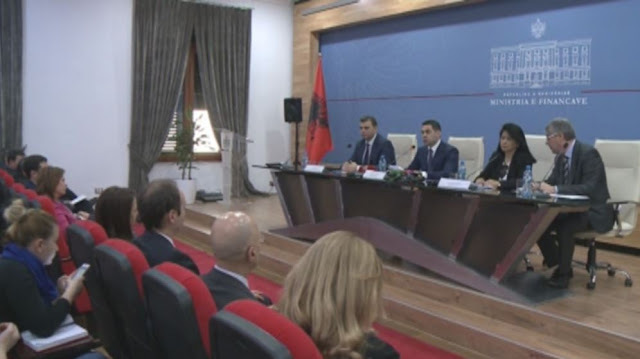 At the conclusion of consultations with Albanian authorities, the IMF mission estimates that "under the IMF-backed program that ended recently, the authorities have reduced unfavorable fiscal and financial positions, but further efforts are needed to cement these achievement. The pace of reforms has slowed down due to the election and long-term change of governments. " According to the IMF mission, "the economy of Albania continues to be strengthened, benefiting from the growth of domestic demand, large Foreign Direct Investment related to the energy sector, tourism growth and the recovery of the main trading partners from the EU" . The Monetary Fund forecasts +0.2 percentage points, economic growth in 2017, which could reach 3.9 percent," under the rapid expansion of tourism and construction sectors to compensate the negative effect of the drought relating to the production of electricity, having in mind that the main enery in Albania comes from hidropower. The recovery of the number of jobs continues, with unemployment falling to 13.9 percent in the third quarter of 2017. The dredit to individuals and exports is growing. The current account deficit is expected to expand slightly in 2017, reaching 8 percent of GDP, with increased energy investments and electricity imports due to drought. The impact of external inflation at higher levels and the growth of domestic demand is expected to bring inflation to about 2 percent. The Fund underlines that "the growing economy and the clear electoral mandate offer the new government a rare opportunity to duplicate work on reforms. The forwarding of the reform program is critical to maintaining macroeconomic stability, reducing fiscal risks and increasing the growth potential. "